The Brooks Pediatric Recreation program is pleased to introduce to you the first nationally registered junior wheelchair basketball team in Florida…the Brooks Bullsharks! On June 9, Pediatric Recreation hosted a Sports Jamz event for children in the community. The event highlighted a few adaptive sports that are available to them no matter what their physical limitation might be. 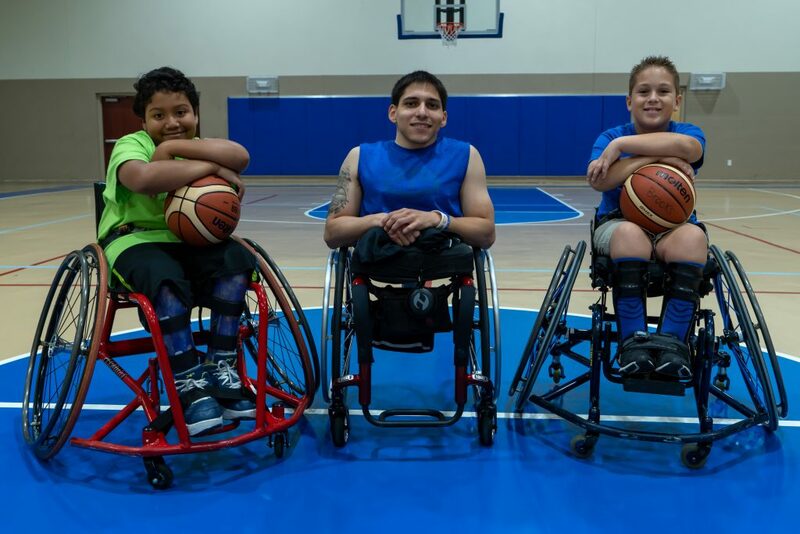 Thanks to a generous $5,000 grant from BBVA Compass, we were able to purchase three child-sized sport wheelchairs. Adult players from the Brooks Bandits (adult rugby) and the Brooks Ballers (adult basketball) came out to help introduce the children to the world of wheelchair sports. Enough interest was generated from the Sports Jamz event that we began our summer wheelchair basketball skills camp in July. With support from the Adaptive Sports and Recreation staff, we had 10 children enroll in an eight-week summer skills camp. Children were able to try out the wheelchairs, get comfortable maneuvering them and learn some basic wheelchair basketball skills. From that pilot program, families and players expressed their interest in continuing wheelchair basketball and have now been practicing weekly since September. “All 10 were asking when they could start playing games. We were ecstatic with the commitment shown by kids and parents in regards to attendance as well as work ethic,” said Maggie Maurice, CTRS, recreation coordinator. 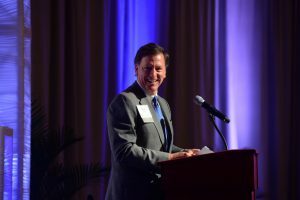 In September, Pediatric Recreation brought on Matt Sechrist as the Bullsharks coach. Matt, a Brooks employee and player on the Brooks Ballers, brings his unique player insight, relatable personality, strength and passion to the team. We are extremely excited to see where these kids will take the Brooks Bullsharks in the future. If you would like more information regarding the Brooks Bullsharks, please check us out at www.brooksrehab.org/services/pediatric-recreation/ or call us at 904-345-7501. Junior wheelchair basketball is a nationally recognized Paralympic sport for children up to age 18. Athletes do not need to be using a wheelchair in everyday life to be able to play. Athletes qualify to play if they have a permanent disability which consistently reduces the functioning of the lower limbs. The disability must be of a nature that it can be objectively verified by medical and/or paramedical investigations such as CT, MRI, X-Ray etc. 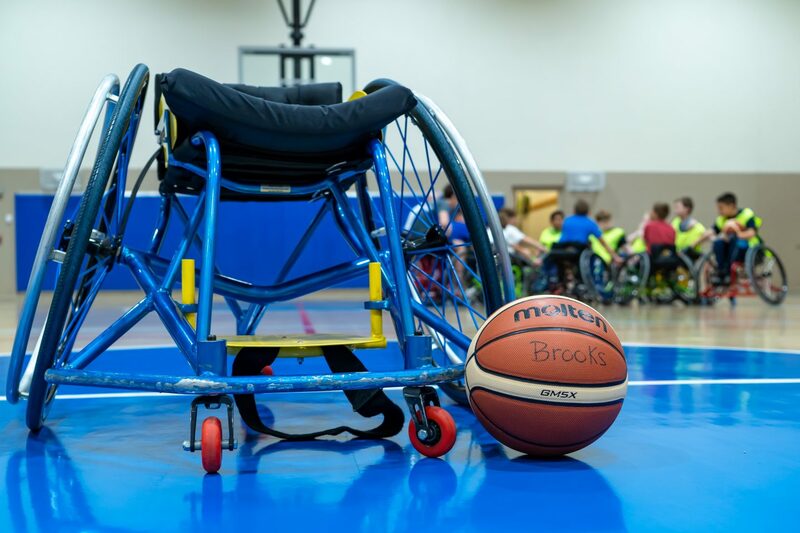 Upon registering with the National Wheelchair Basketball Association (NWBA), a minimum disability form is submitted and eligibility will be determined that way.